Well despite a not so brilliant start yesterday with the technology thingies I have had a lovely weekend. I abandoned the computer yesterday afternoon and went out to do some shopping – calling in on the way for a bit of Knit and Natter at my local yarn store, Woolly Minded and Beady Eyed. I am glad to say I seem to have cracked the problem with the variegated wool and the wristwarmers so the second of the pair should be finished soon. I finished the stitching on the pressie for my friend late last night – just got the border to finish tonight and am planning to make it up tomorrow. She keeps chickens so I thought it would be an appropriate present and I have some fab chicken fabric to back it with. A little rooster sunning himself in the garden! The design is called Rooster (surprise that!) 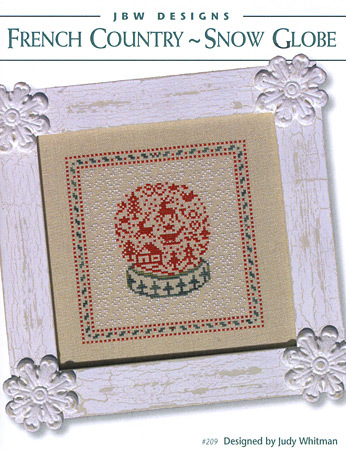 and is from the wonderful JBW Designs – I am going to treat myself to some of their Xmas ones this year – might even find time to stitch one for my tree as well as all of the gifts. 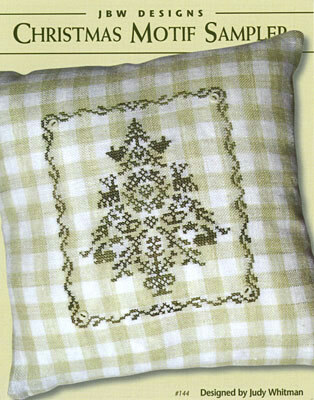 Sew and Sew web site do the largest range of designs I have found for the UK. 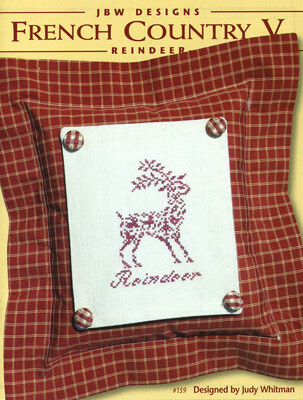 I am very tempted by so many of their designs but particularly this one as I am stitching another reindeer design as my gift ornie for this year so it would maybe be nice to vary it. If you have a preference let me know in a comment as I am going to have a hard time deciding! We have also been busy in the garden – ably assisted by Jake I have been trimming laurel hedges, cutting grass and generally tidying up and it looks very lovely – all that rain has done it good! Have also been baking and have made my first ever Lemon Drizzle Cake (a request from Jake) from the recipe on Nigella’s website. 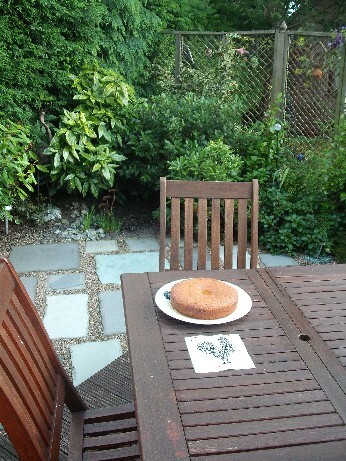 The fruits of my weekend labour - tidy garden, stitching and cake! Have also been doing lots of lovely reading, being holiday season I had bought lots of books and then went to the local library with Jake – I don’t normally visit the library as I have lots of books already in hand and really love buying them (and so quick and so cheap and so easy – thanks to Amazon!) 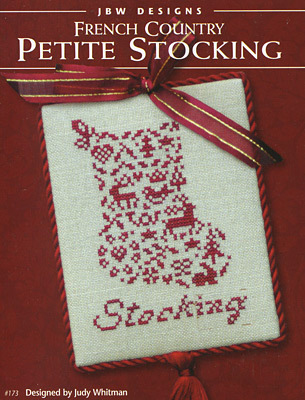 but was browsing and came across a couple of books about quilting – novels with a quilt theme. 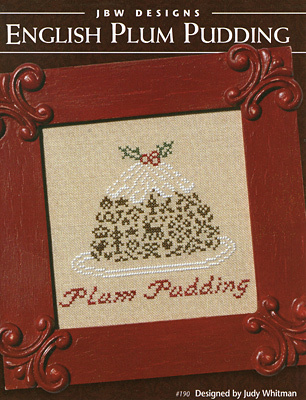 I have heard of these from knitting and stitching friends so borrowed the two they had and finished the first one in a day. So I went and found a load more on the lovely Amazon. 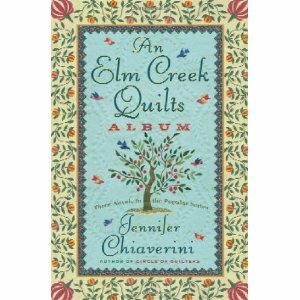 They are called the Elm Creek Novels by Jennifer Chiaverini and you can see them here at the Amazon listing. 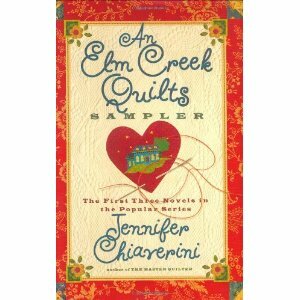 I really like the way that they are historically based novels as well as about quilting and about the women that quilt. 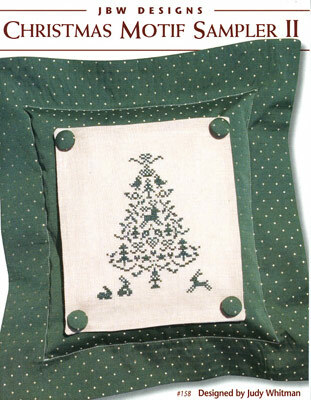 Though I have not really done much quilting myself I love looking at quilts and finding out about the history of quilts and quilting so this is literary heaven – with very good storylines too! which was excellent and the first Elm Creek Book I read was The Sugar Camp Quilt which is set in the North USA during the time of the fight against slavery. 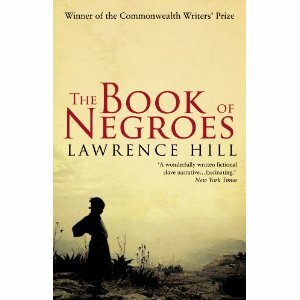 An excellent book and a very interesting read after the Hill book. I treated myself to two anthologies of the first Elm Creek 6 books and another 2 based around Xmas and New Year themes as they were all very cheap in a bundled new book deal. That should keep me going for a while – all the rest in the series are very cheap second hand on Amazon as well. Don’t know if I will be able to post again this week and we are away next weekend – we are going to Tribfest in Beverley – a music festival composed entirely of tribute bands! My sister went last year and said it was great so we are meeting up with her and the kids and her friend for a weekend of boogieing! I have not been to a festival since about 1988 (though have been to lots of live music during the last few years which I really love) so am really looking forward to this! The problem with technology ………. Enjoy your weekend. Beverley is a pretty town, and there’s quite a lot to see around and about if the music fails to appeal after a while! 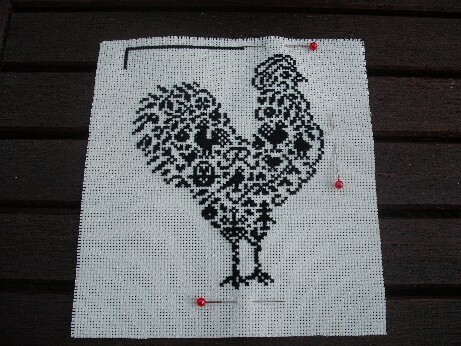 Love the rooster Alison – where did you buy the pattern?, would love to stitch this for my sister, she, like your friend also keeps hens. Thanks Alison – will look at the link. Hoping to have a few days holiday with my sister soon. Would love to meet up for lunch, will be in touch at the end of the month.